The Schribers found Ocean Springs in the early 1870s through another German immigrant, William B. Schmidt (1823-1901). Schmidt, a native of Baden-Wurttemberg, made his livelihood at New Orleans as a wholesale grocer. After the Civil War, he acquired real estate at Ocean Springs and erected a summer home, which is extant at 227 Front Beach Drive. W.B. Schmidt also owned the Ocean Springs Hotel and Marble Springs, which he donated to the City in 1896. Other W.B. 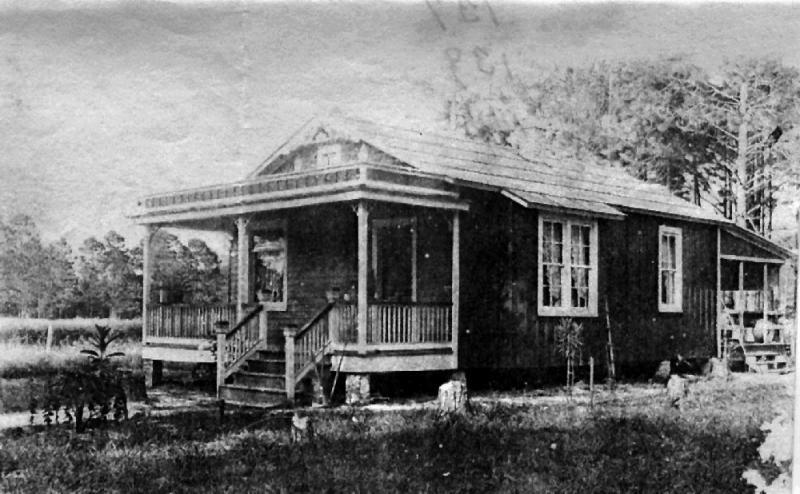 Schmidt gifts to the local people were the land where the Ocean Springs Community House is situated on Washington Avenue and the lot of land on the northwest corner of Rayburn and Porter, now the site of St. Johns Episcopal Church, which was completed in April 1892. 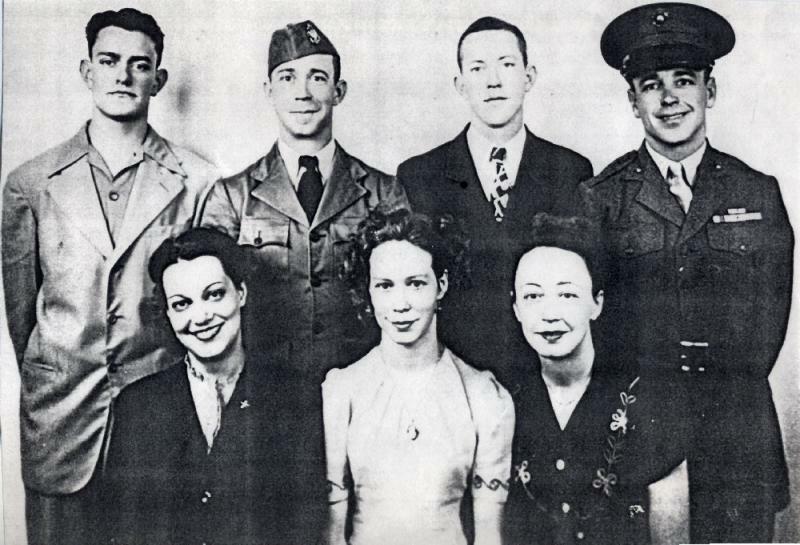 [top l-r: Allen "Laddie" Schrieber (1925-1985), Robert F. Schrieber (1914-1973), Joseph W. Schrieber (1921-1953), and E.M. Ashley Schrieber (1919-2001). [bottom l-r: Leah L. Schrieber (1917-1992), Mildred H. Schrieber(1923-1978) and Rachel P. Schrieber (1911-1968)] Courtesy of Lurline Schrieber Hall. Dode Schrieber made an amazing contribution to the chronology of Ocean Springs in the fall of 1949, when he was interviewed in the twilight of his life by Captain Ellis Handy (1891-1963), then a writer for The Gulf Coast Times. Captain Handy’s column “Know Your Neighbor” was published between July 1949 and November 1949. It included interviews with some of Ocean Springs’ most notables: Antonio John Catchot (1864-1954); John Edward Catchot (1897-1987); Henry L. Girot (1886-1953); John W.C. Mitchell (1871-1952); Alfred Peter Moran (1897-1967); Fred J. Ryan (1886-1969), and George Washington Smith (1857-1953). The VanCleave, Bradford, Davis, and many more pioneer families and individuals were highlighted by Mr. Handy. 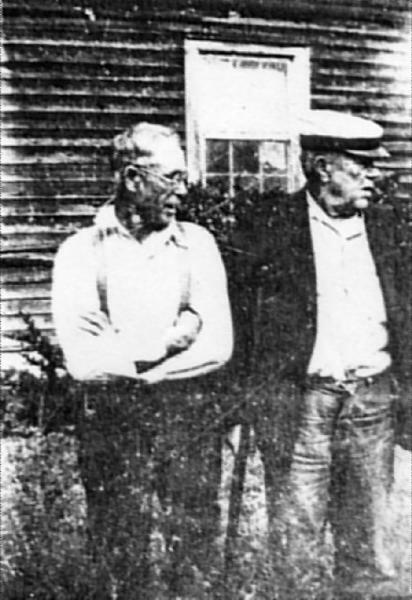 In addition to details of his own Schrieber-Letzler family, Dode Schrieber related much about the unpublished events of the mid and late 19th Century chronology of Ocean Springs. For any local genealogist or history buff, the Handy and Schrieber reports are a must! Dode Schrieber expired at Biloxi on June 22, 1951. Etta Clark Schrieber lived on until May 16, 1979. She passed at Montgomery. Alabama. Both lie in eternal rest in the Evergreen Cemetery on Old Fort Bayou. Maria Luise Brigette “Louisa” Schrieber (1875-1954) was born on November 23, 1875. 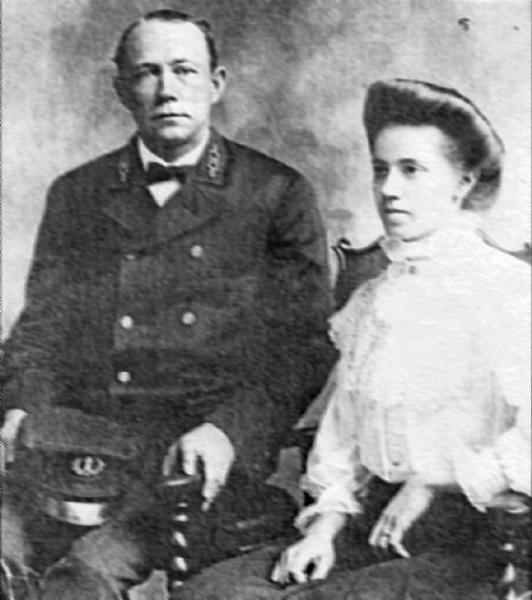 At Ocean Springs, on January 31, 1903, she married Oscar Raymond Carver (1878-1926), a native of Bay St. Louis, Mississippi, and the son of David Carver (1836-1900+) and Matilda Breakfield (1846-1925). She was the daughter of surveyor, D.N. Breakfield, who was born at Georgia in 1817, and May Breakfield, born 1827, at South Carolina. Oscar R. Carver expired at Ocean Springs in late May 1926, after an illness of several months. Louisa S. Carver lived in the old Theresa Vahle Friar (1871-1956) house on the northwest corner of Washington and Calhoun for many years before she relocated to Lakeland, Florida where she died on January 26, 1954. Both were interred in the Evergreen Cemetery at Ocean Springs. The Daily Herald, "Captain Schrieber assumes Biloxi duty", March 4, 4938. The Daily Herald, "Frederick Schrieber retired Lighthouse Keeper, Dies at Home", March 18, 1944. The Daily Herald, "Schrieber-Lynch", March 2, 1954. The Daily Herald, “Know Your Coast”-The Story of the finding of the Iberville Plaque”, 1960? The Gulf Coast Times, “Curtis Wright Makes Pigeons A Profitable Hobby That Pay For Itself”, September 18, 1952. The Gulf Coast Times, “Curtis H. Wright, 47 Dies After Long Illness”, May 2, 1953. The Jackson County Times, “Oscar R. Carver”, May15, 1926. The Jackson County Times, “Schrieber-Kolb”, December 16, 1939. The Sun Herald, “Anna Ruth Schrieber”, March 15, 2005, p. A7. The Ocean Springs Record, "Bringing back the good old days: Builder restores grandparents' historic home", January 25, 2007, p. B4.